As anyone who has ever translated anything will know, misreading and misinterpreting information can lead to the loss of the entire meaning of a sentence. Even if you're not an interpreter or translator you should know that sometimes your words can be misunderstood. "That's not what I meant" is heard far too often. Language has a wonderful ability to mean several things at once. However, if you have misunderstood the message or misinterpreted its meaning it can have dire consequences. Take the Mayan Calendar for example. Suddenly a lot of people believe it's the end of the world. We find it hard to believe that anyone is actually taking this seriously, but they are. 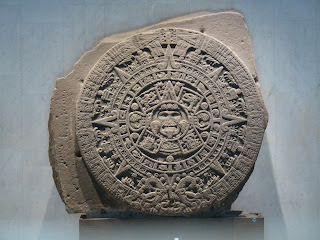 The Aztec Sun Stone. Often wrongly used to represent the Maya. The Maya did little more than make a calendar... ironically, a calendar that far surpassed their time on this earth. Check the calendar on your phone or computer. It probably goes past a date that you expect to reach as a living being. Just because your phone only goes up to 2999 doesn't mean that the world ends then. It simply means that its designers didn't believe you'd have much use for a calendar beyond that date. The Maya happened to do the same. They made a calendar and it ended today, thanks to a conversion from their system of dates to the Gregorian calendar. If we'd made the calendar in stone we'd probably have given up well before today's date. Of course, this information has been misread. There is little information to suggest the Maya believed the world would end today. The only information given is what date it is and what date the calendar ends. Nothing more, nothing less. the Italians believe the world ends at the end of 2012. The records left by the Maya have been distorted and open to interpretation and, more importantly, misinterpretation. 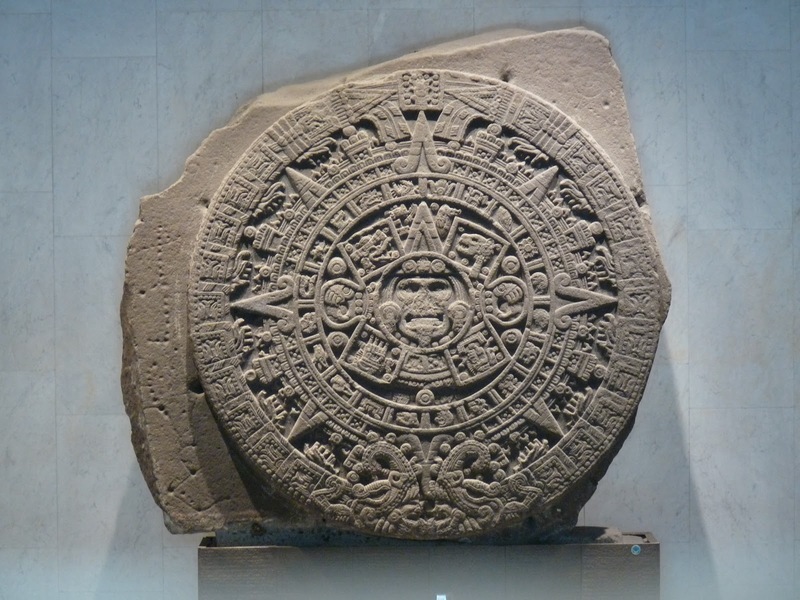 Even if the Maya believed that at the end of the cycle on their calendar the world would end, it doesn't necessarily in any way, shape or form, mean that they were right. People used to believe the world was flat. Even before Columbus people knew the world was round. All they told Columbus is that the distance to India heading west was significantly greater than what he believed it was, and they were right. There are actually Mayan records in existence that refer to dates after today. Clearly not all Mayans were obsessed with the 21st December 2012. There's even a reference to 21 October 4772 AD (coincidentally my birthday, not that I'll be around to see it... unless I live to 2785 years old...) which is well after today's date. Few know what the 13th b'ak'tun (the end of a Mayan long cycle) indicated. The Maya definitely preferred history to prophecy and had little to no mention of being able to predict the future. Even if they said they could, would you believe them?